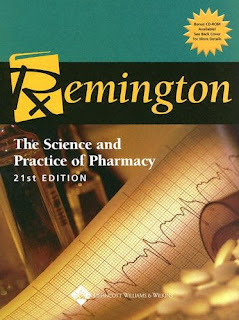 For over 100 years, Remington has been the definitive textbook and reference on the science and practice of pharmacy. This Twenty-First Edition keeps pace with recent changes in the pharmacy curriculum and professional pharmacy practice. More than 95 new contributors and 5 new section editors provide fresh perspectives on the field. New chapters include pharmacogenomics, application of ethical principles to practice dilemmas, technology and automation, professional communication, medication errors, re-engineering pharmacy practice, management of special risk medicines, specialization in pharmacy practice, disease state management, emergency patient care, and wound care. Purchasers of this textbook are entitled to a new, fully indexed Bonus CD-ROM, affording instant access to the full content of Remington in a convenient and portable format.